Located on Wythe Avenue near Kinfolk 90, the creative collective’s first location, the newer Kinfolk 94 events space includes a bar, art gallery, and retail. 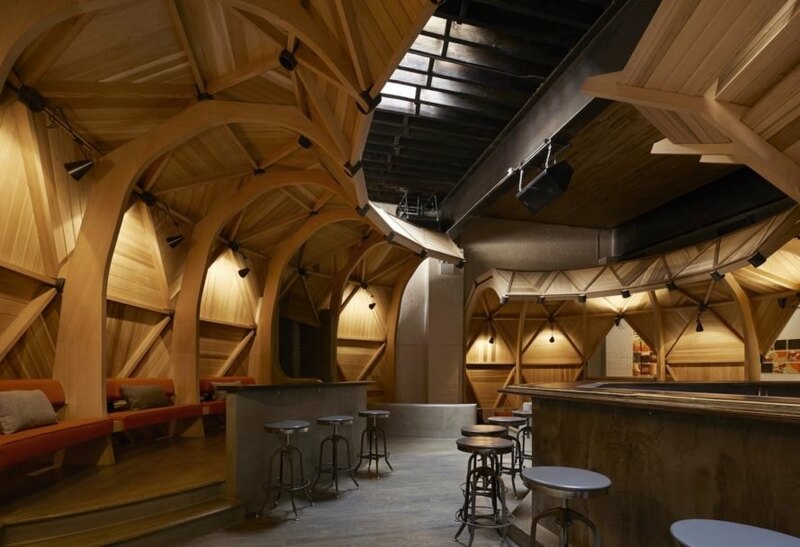 To bring the former car garage’s 20-foot-tall ceilings down to a more intimate human scale, Berg Design Architecture inserted two timber “geo-shells” and a bar canopy. The curved additions are of slightly different sizes and create semi-enclosed areas that evoke a cozy, bird’s nest-like feel. The shells can be altered with removable panels. 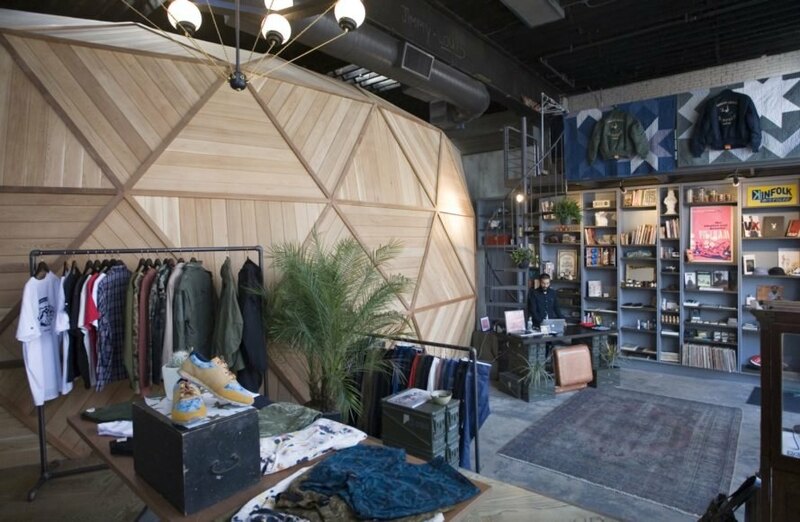 Pacific Northwest hipster vibes meets Buckminster Fuller in clothing company Kinfolk’s beautiful multi-use events space in Williamsburg. 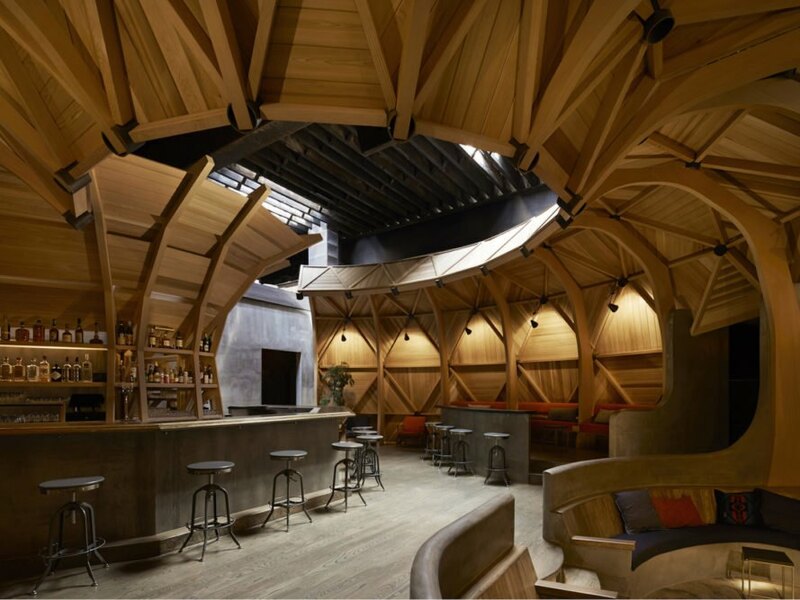 Carved out from a former mechanic’s garage, 94 Kinfolk welcomes guests with two geodesic-inspired shells built of plywood, Douglas fir, and Western red cedar. New York-based Berg Design Architecture designed the events venue to meet the client’s desire for a space that feels “like it was designed for an off the grid Pacific Northwest hippy mathematician." 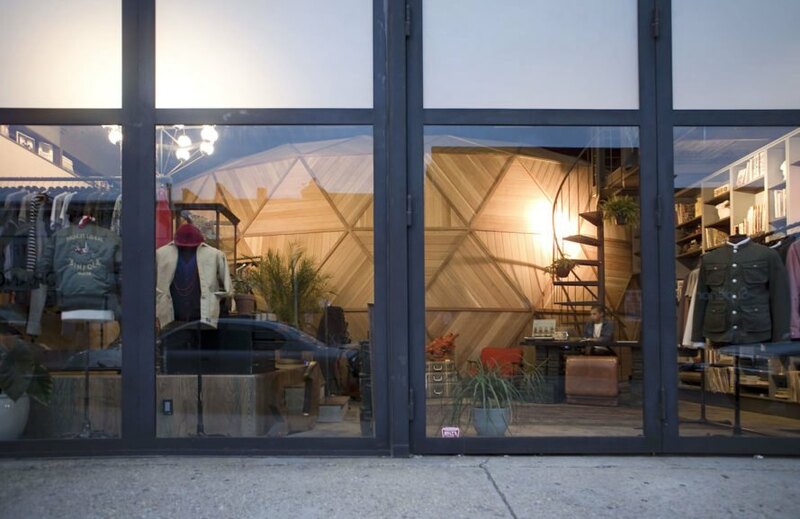 Located on Wythe Avenue near Kinfolk 90, the creative collective’s first location, the newer Kinfolk 94 events space includes a bar, art gallery, and retail. 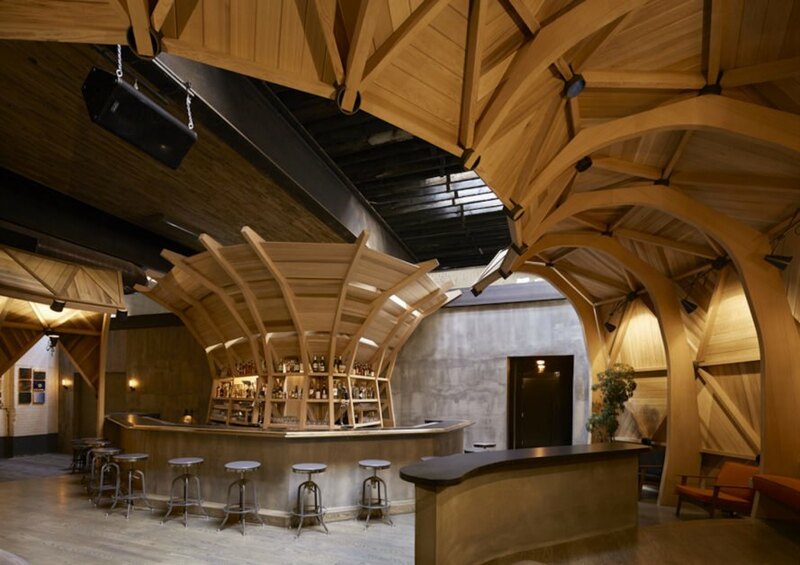 To bring the former car garage’s 20-foot-tall ceilings down to a more intimate human scale, Berg Design Architecture inserted two timber “geo-shells” and a bar canopy. The curved additions are of slightly different sizes and create semi-enclosed areas that evoke a cozy, bird’s nest-like feel. The shells can be altered with removable panels. “As a design directive the client asked that the space look like it was designed by a ‘Pacific North West hippie Mathematician’,” wrote the architects.